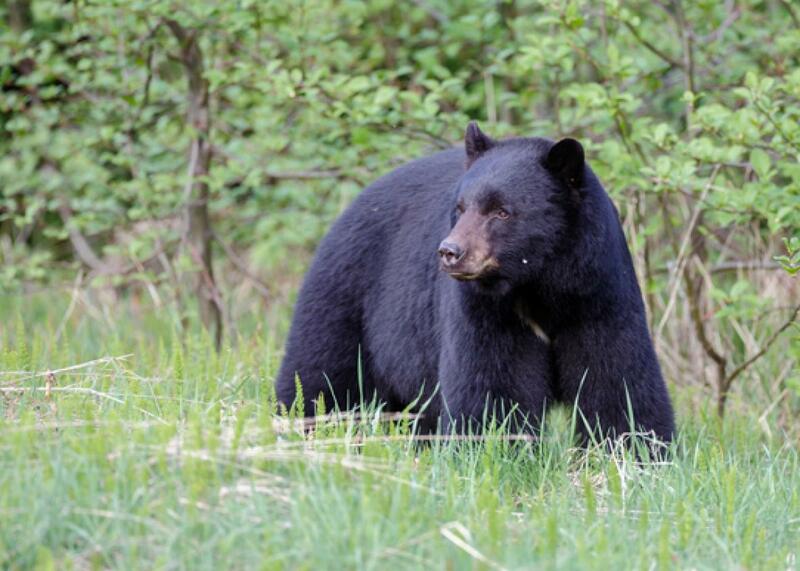 Black bears interacting with drones in University of Minnesota research. You Know Who Hates Drones? Bears. What … is … that in my field? In their own ways, kangaroos, rams, moose, chimps, and hawks have all been able to express their displeasure with drones. The Park Service has heard them loud and clear, and drones have been banned in national parks since June. But other people haven’t quite gotten the message to keep their quadcopters away from wildlife. (Shocking!) Now researchers at the University of Minnesota are adding bears to the chorus of pissed-off animals. Their paper published in Current Biology Thursday found that bears had a physiological response to nearby drones even when they didn’t change their behavior to respond. Last fall, the researchers observed four bears that were wearing heart monitors and GPS tracking collars during a total of 18 drone flybys. The bears’ heart rates increased during every drone interaction. A 1-year-old male’s rate went up 47 beats per minute, a hibernating female had a 56-bpm increase, and a female with her cubs spiked up 123 bpm. The bears’ heart rates returned to normal pretty quickly. It has long been established that low-altitude flights by helicopters and fixed-wing aircraft can produce stress responses in wildlife, yet we believe UAV flights introduce a new and unique stressor that has the potential to be more frequent and induce higher levels of stress. UAVs can fly extremely low … and are rapidly gaining popularity, … decreasing costs, and ease of use. Just because the bears didn’t rip the drones to shreds doesn’t mean that they weren’t feeling effects. And with so many examples of wildlife running away from or being aggressive toward drones, it’s necessary for hobbyists, researchers, and companies like Amazon to factor animal well-being into drone use. It’s kind of awesome to watch animals take drones down, but it’s not benefiting them.